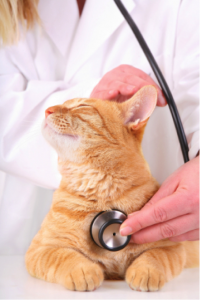 Does My Indoor Cat Really Need a Rabies Vaccine? Rabies is an infectious disease that affects the central nervous system. The disease is caused by transmission of the rabies virus through the bite or scratch of an infected animal. Saliva from an infected animal is infectious and can spread disease if it finds its way into the eyes, nose, mouth, or opening in the skin of a susceptible mammal. While rabies is 100% preventable, more than 59,000 people die from the disease around the world each day. Most of these deaths occur in Africa and Asia, and nearly half of the victims are children under the age of 15. If you have been exposed to the rabies virus, and not swiftly treated with a series of post-exposure vaccines, the disease is nearly 100% fatal. The cost of post-exposure prophylaxis typically exceeds $3,000. Despite its rarity in the United States, occasional cases of rabies in humans do occur with one to three cases reported annually. In January 2018, a 6-year-old boy from Florida died after being scratched by an infected bat. In August 2018, a woman from Kent County, DE died after being exposed from an unknown source. Since January 2018, the Division of Public Health of DE has performed rabies tests on 83 animals, nine of which were confirmed rabid. Positive tests were identified in three foxes, three raccoons, one cat, one dog, and one horse. 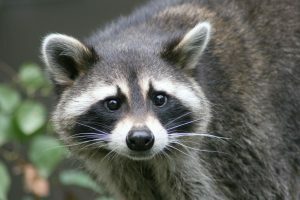 On the east coast, raccoons are the most common incubator of the virus. It should be noted that all land mammals are susceptible to the virus, it simply occurs more commonly in some species. A surprising number of indoor cat owners are unaware or argue a cat that never goes outside should not require a rabies vaccine. Cats commonly slip out an open door, inadvertently fall from a screened window, or a rabid animal could even find their way into the home. You cannot guarantee an indoor cat is completely free from risk of exposure. Rabies vaccination is required by law for all dogs, indoor cats, and ferrets. The vaccine must be given by a licensed veterinarian. Implementation of this law has dramatically reduced the amount of human exposure seen in the US. Several major health organizations, including the World Health Organization (WHO), World Organization for Animal Health (OIE), and the Food and Agriculture Organization of the United Nations (FAO), have pledged to eliminate human deaths from dog-transmitted rabies by 2030. You too can take steps to help prevent and control rabies by vaccinating your pets and learning how to keep yourself safe from the animals that commonly spread rabies in the U.S. including raccoons, bats, skunks, and foxes. Please visit cdc.gov/worldrabiesday/ for more information and call to schedule an appointment to update your pet’s vaccine!